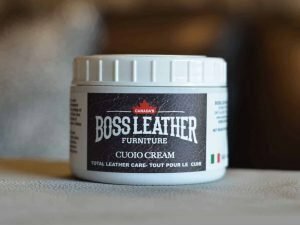 This Product is special formulated to add moisture to all leathers Boss Cuoio Cream is a self shinning, all in one softening leather cream. 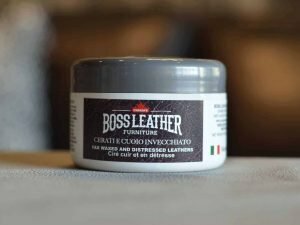 Conditions,protects and shines leather furniture and more, in one quick and easy step. Contain lanolin.